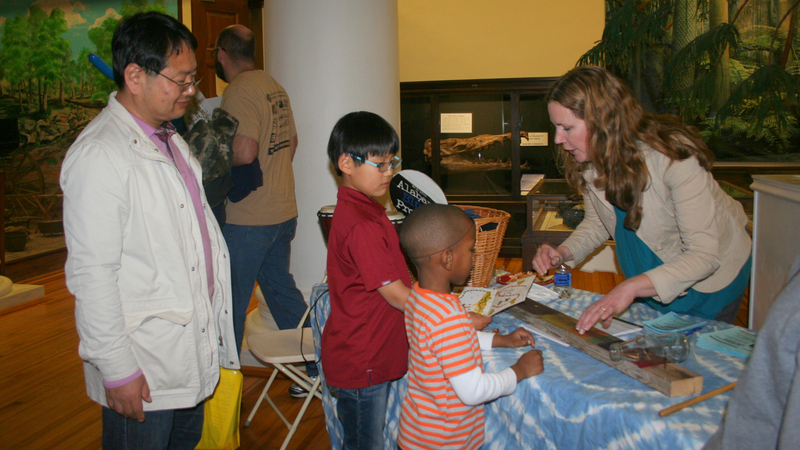 Family Night at the Museum will feature activities designed by numerous UA graduate departments. TUSCALOOSA, Ala. — The University of Alabama invites the campus and West Alabama communities to travel back to prehistoric times when dinosaurs roamed the Earth at the ninth annual Family Night at the Museum Feb. 9. This year’s dinosaur-themed event will feature interactive activities developed by UA graduate departments. Activities will take place from 5 p.m. to 8 p.m. in Smith and Lloyd halls on the UA campus. Admission is free to the public. UA graduate departments have developed interactive activities that relate to each department’s area of research, as well as connect to this year’s theme. Sorlie said the event will also feature several Alabama Museum of Natural History collections that are rarely on display. Aside from interactive activities, families will be able to enjoy free food and have a chance to win a variety of door prizes. “The event is a great way for us to connect with kids because they get an opportunity to interact with researchers who do the things they might want to do when they grow up,” said Sorlie. Family Night at the Museum started in 2011 in an effort to connect UA graduate students who have children with other graduate student parents in a family-friendly environment. A few years later, the event was opened to the community. More than 1,000 parents and children annually attend the event. Family Night at the Museum is hosted by UA’s Graduate School, the Graduate Student Association and the Alabama Museum of Natural History.